Our garden design team provides the complete range of design services, including site survey and assessment, preparation of client brief, preliminary drawings, design plans, structural drawings and specifications, planting plans and plant schedules. 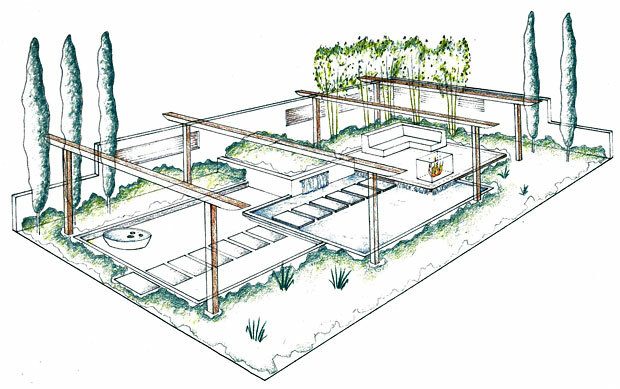 Sketch proposal for show garden. We also offer on site consultations on an hourly or daily basis for professional advice and overview of a proposed development. 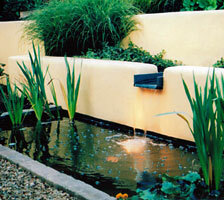 Well thought out structural detailing leads to a high quality finished water feature. 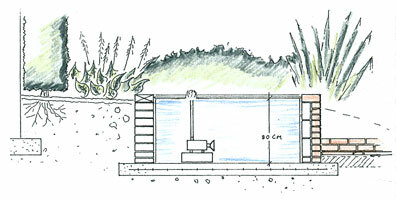 Where requested, we can provide a project monitoring service at the garden construction phase, on a nation-wide basis.